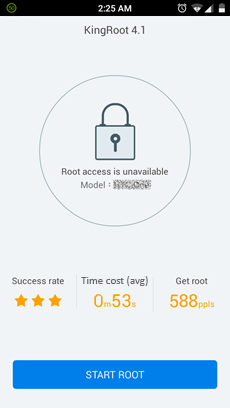 KingRoot Mobile is an application that runs on Android to gain root privileges on Android devices available. 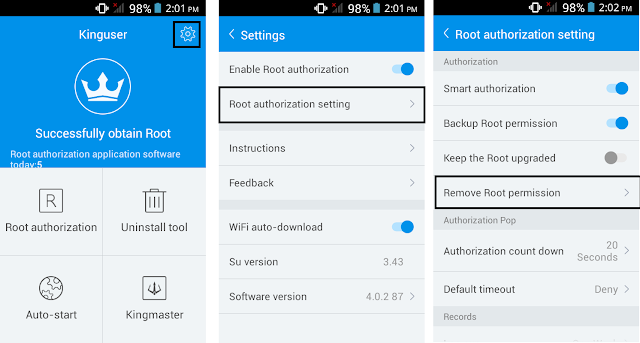 Not only KingRoot can go it, there are many applications that can do it, like RootGeniusMobile, iRoot Mobile, KingoRoot Mobile, 360Root, TowelRoot, FramaRoot and many other applications such as KingRoot Mobile. 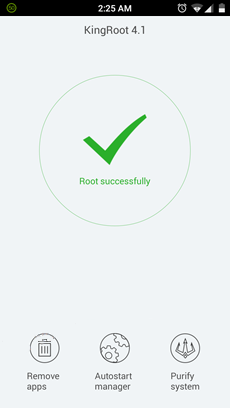 Applications like I mentioned above can be street directly on the Android device, but if you want Rooting android device through a computer, you can use the tool RootGenius, iRoot, KingoRoot, KingRoot, MobileGo, OneClickRoot, and SRSRoot or other tool. Okay, back to the discussion Rooting android device using KingRoot Mobile application. Make sure your Android device is connected to the Internet. On your Android device, turn Unknown Sources, how open Settings> Security> Unknown Source or Settings> Security> Device Administration> Unknown Source (swipe or check for enabled). 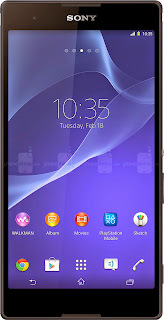 Download and install KingRoot APK on your Android device. 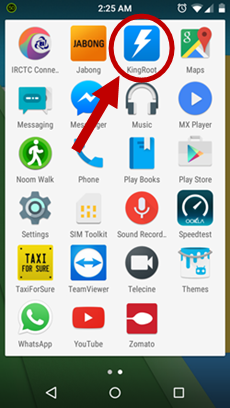 After installation is complete, you will see KingRoot application installed in your application menu. Now, press the START ROOT button to start rooting process. Open KingUser application already installed on your android. 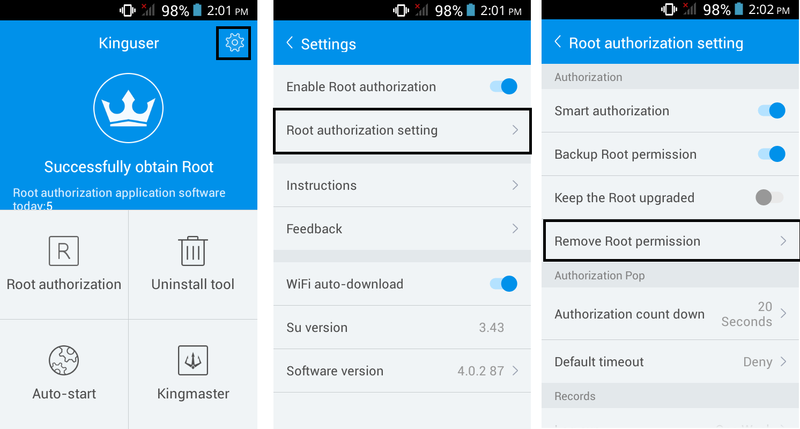 After Kinguser open, click on the Settings icon and select Root authorization settings, then select Remove Root Permissions. A popup will appear. Then select Clear. 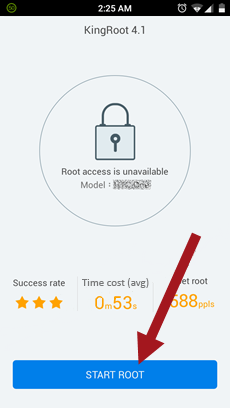 2 Responses to "How To Root Sony Xperia T2 Ultra Without PC"
Punya saya dah 5.1.1 jadi pakai aplikasi king root ga bisa, gagal teeus... Bisa tolong berikan solusi untuk masalah sya a ini agan? Tq.